I’ll be the first to admit that when a recipe calls for ricotta cheese I head straight to the grocery store to buy it. 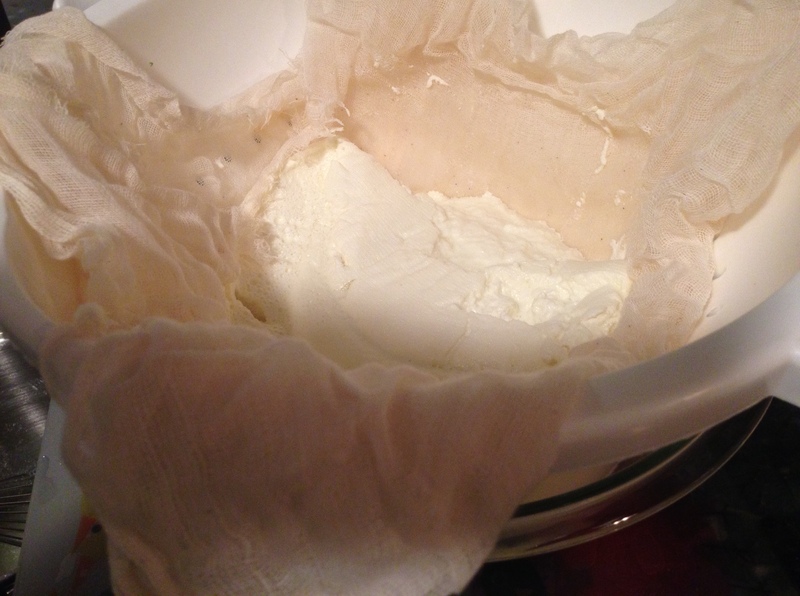 Last night I made fresh ricotta cheese and it was so easy and tasted a million times better than any store-bought stuff that from now on I’ll be making my own! The whole process took about 30 minutes from start to finish and the ricotta can be kept for 1-2 weeks in your fridge. Just give it good sniff towards the beginning of week 2 and you should be able to smell if it’s gone bad or not. I found this recipe in the New York Times, and while there are numerous recipes out there, this one tastes great, is easy, and is pretty much fool-proof. In a medium pot add all of the ingredients and heat over medium high heat. Stir until all the ingredients are combined and smooth. 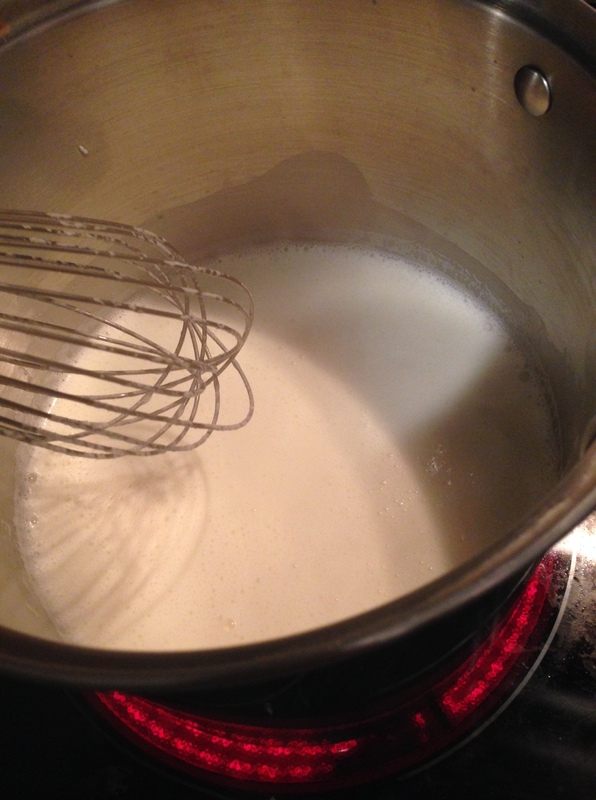 Allow the ricotta to drain for 5-10 minutes. The longer you allow it to drain, the drier it will be. Remember to take into account that the ricotta will dry out as it continues to be refrigerated so you want to leave it a bit “wetter” than you are used to seeing it. Isn’t it so easy? Don’t you wish you had learned this years ago?! I sure do….leave me a comment and let me know if you try it out! We toasted some French bread and added some toppings! 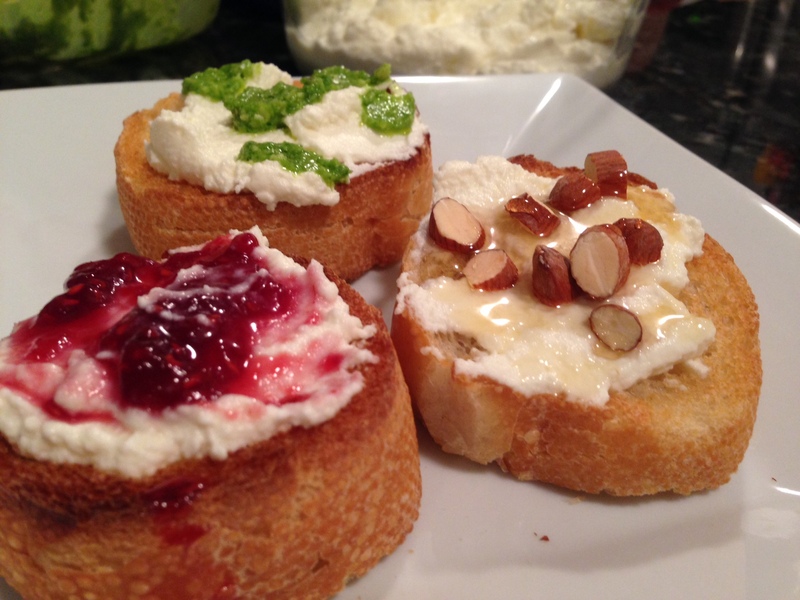 Ramp pesto, honey and almonds, and raspberry jam! That sounds great! I’ve got to try it! Wish I heard about this sooner…. Well done on your first ricotta! 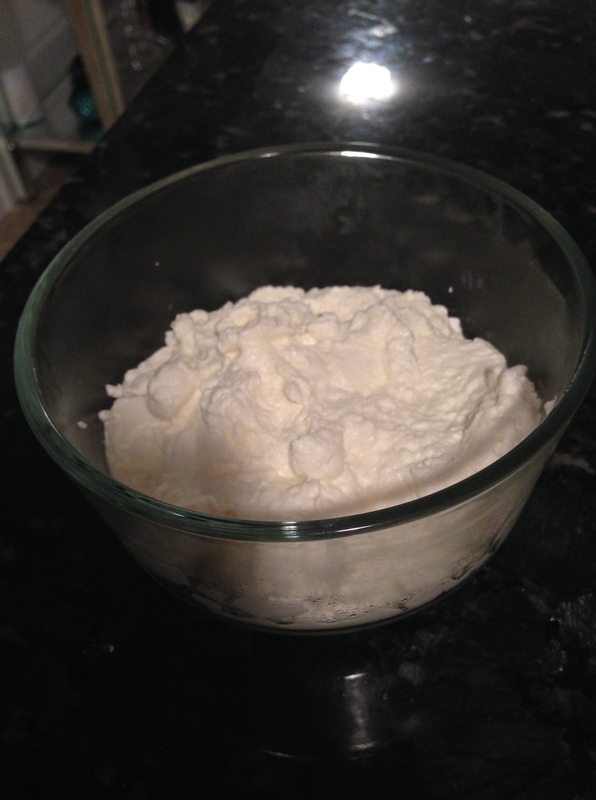 I’ve made cheese a few times (mozzarella and halloumi) and I always make ricotta from the leftover whey. I’ve never tried making ricotta on it’s own though.